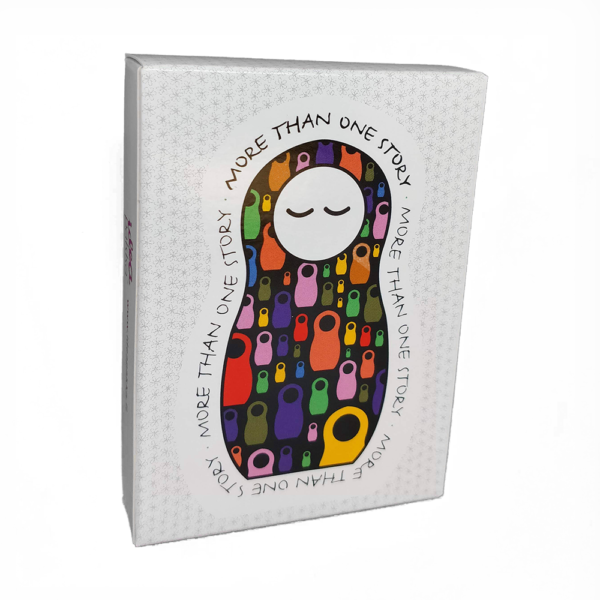 More Than One Story is a card game designed to build bridges between people of all ages, backgrounds and cultures. We all have a story to tell! 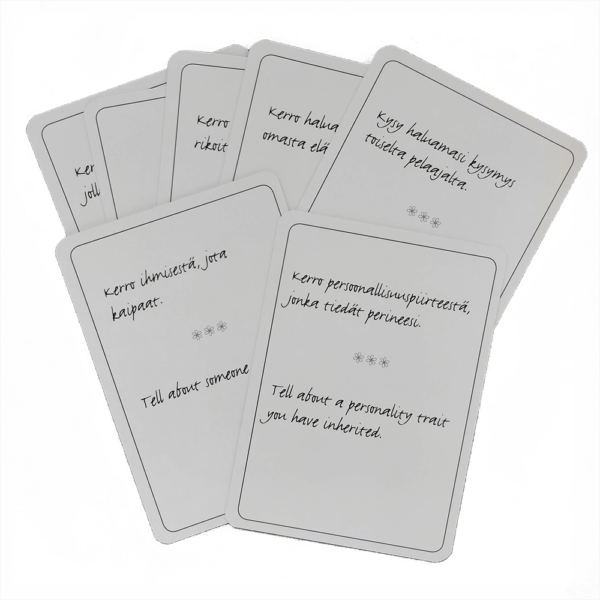 The deck is bilingual: each card is both in Finnish and in English. 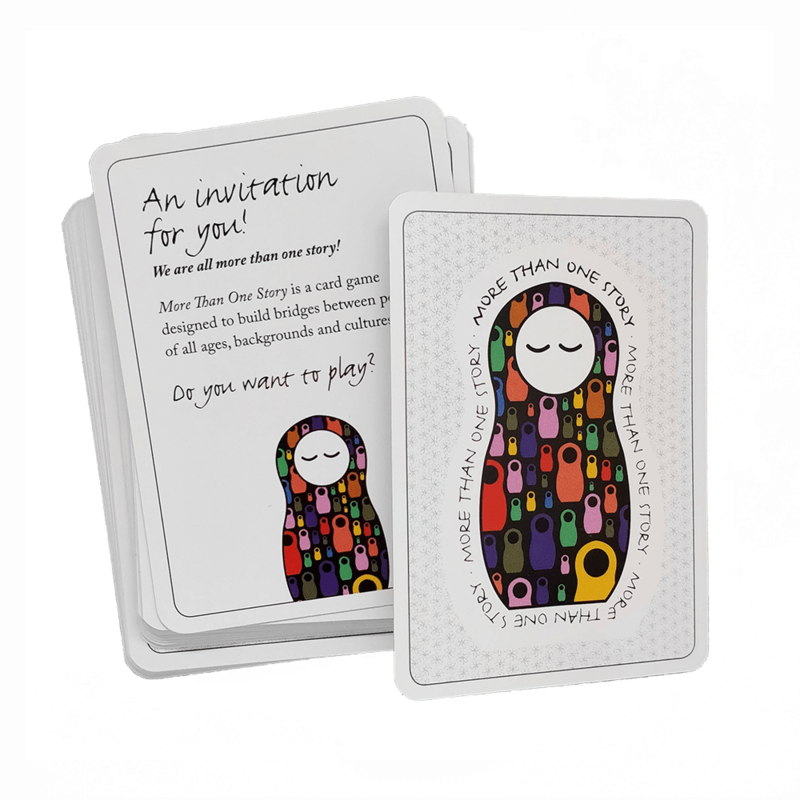 This game can be played with friends, family, coworkers, among students, or event participants. 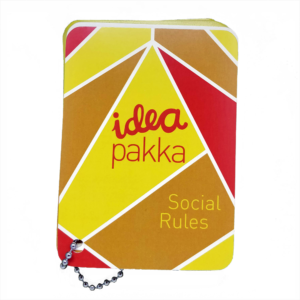 The idea is to get to know new people or to learn new sides about people you might already know. 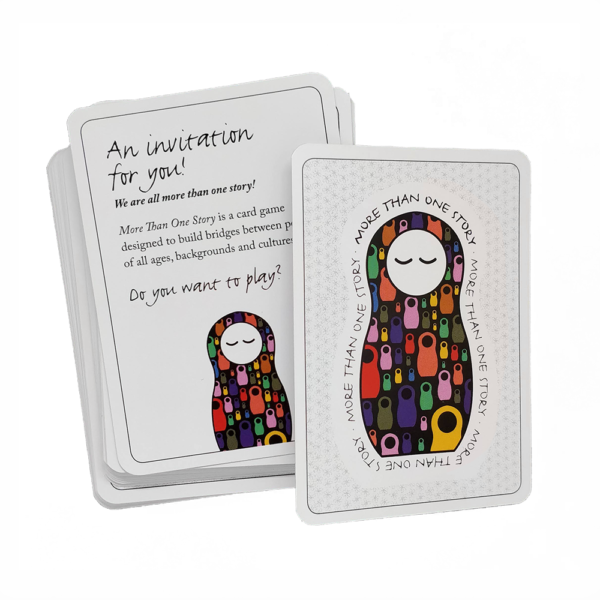 Deck contains 50 questions. 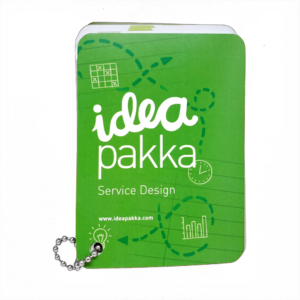 All Ideapakkas include ideation assistance: if you need help or new ideas for facilitating, don’t hesitate to contact us! 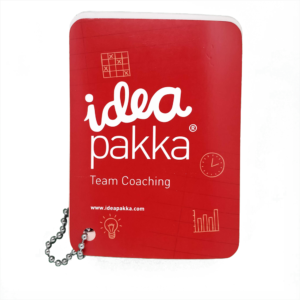 We also offer Ideaforges.